I always knew I was different. I never really fit in anywhere or with anyone. I always felt like a bit of an outcast, even when I was surrounded by friends. I was never first at anything. The only trophy I've ever owned was one my mom bought me for Christmas when I was in grade school...because I wanted a trophy so badly. I played on a sports team one time in my whole life, and I was captain of my 8th grade volleyball team. But I should clarify. I was captain of the "C" team. There was the A-team, the B-team, and then us, the C-team. The 8th graders who would play 5th graders from other schools. I'm pretty sure I was given the captain role because of my leadership skills and my ability to accept people and be nice, not because I had any athletic ability. I loved to sing and dance, but I was a terrible singer. I landed the role of a dancer in my high school's production of Grease, and scored a dance solo with my friend (and my birth hospital room-mate!). I was a random fairy (I think yellow?) in A Midsummer Night's Dream. I tried out for chorus in sixth grade. I was denied access. Rejected. I had seven years of piano lessons, and I hated every minute. I can now play Mary Had a Little Lamb by heart. I cannot read music. Money wasted, Mom. I really wanted to be cheerleader or on dance team, but I had never had a dance, cheer, or gymnastics class in my life. I didn't really have a core group of friends. I wasn't athletic. I wasn't fashionable. I couldn't sing or dance. I wasn't funny. I was a rule-follower. I didn't have money. I believed in being nice to everyone, but in return, not everyone was nice to me. In college, I worked two to three jobs a semester to pay my tuition. I am not disgruntled because of this. I appreciated money, because I worked so hard for it. I paid my own way through college, and I came out debt-free. But working so hard in both my jobs and my education left little time for making new friends, going out, or joining clubs or organizations. In essence, I was always inching toward another goal, but never a passion or purpose. I knew I wanted to write, but what? I really didn't blossom until I got out of college. First, I got married and moved away from home. Second, I started teaching college English. I was twenty-two and most of my students were eighteen. Some of my students were older than me, some by over thirty years. It was mind-blowing, humbling, and scary. Really scary. Third, I was super sick for a year-and-a-half and found out at death's door that I had a forever disease: type 1 diabetes. It was upon my diagnosis that I knew we would adopt. And so began my heart's journey toward becoming a family of three. November '08, my first daughter was born. November '10, my second daughter was born. This event brought some of my wanderings, my lost days, my uncertainties, full circle. I think many people wonder and never find their life's purpose. They never get confidence (and simultaneous discomfort). They never find that place where they are both scared and excited. They never feel passion and drive. They never get something far greater than a tarnishing trophy. But I have been blessed to find the sweet spot. God sure took His time showing me. But I know, looking back, He was preparing me along the way. First, He never let me fit in because He wanted me to learn empathy for those who don't fit in. For those who society tells are less-than, second-class, strange, different. Second, He made me earn what I really wanted. Nothing has ever been handed to me. I worked long hours in college. I made sandwiches, changed diapers, and shelved books. I spent holidays seasons behind a counter and in front of a cash register. I've cut vegetables, delivered food, mopped floors, taken out trash. Every time I saved up money, it was wiped out by another set of brakes for my faulty car or another bill from the college. But I always had just enough to keep going. Third, He didn't bless me with talents and gifts that weren't meant to be mine. The things I wanted wouldn't have brought me to a place of openness and readiness to His will for my life. And He gave me a really, really meaningful and promising birthday. To be born on the same day as someone was driven, as life-changing, as ground-breaking, as dedicated as Dr. King...it's overwhelming to me. And then to bless me with a son who shares this same birth date, it simply confirms to me that God has a sense of humor and a purpose. It's ok to wander. 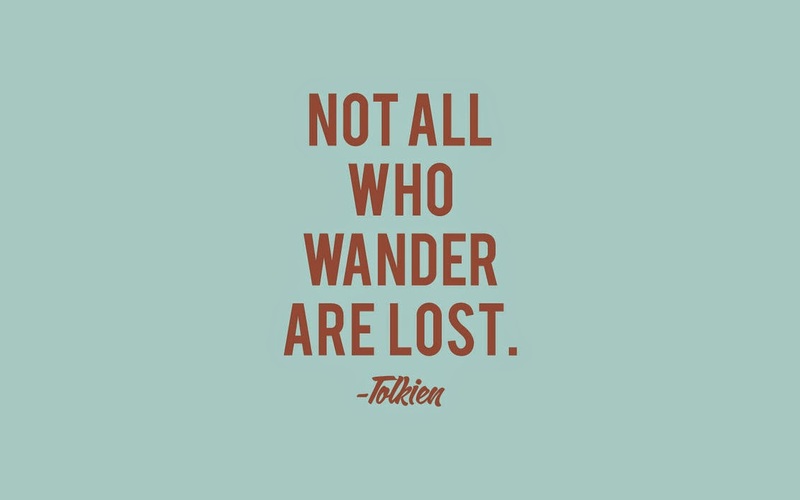 Wandering is learning. Wandering is seeking. Wandering is gaining. It can be painful, confusing, and scary, but it's necessary. Very necessary. Wandering is preparing you for something great: in the right time, in the right way, for the right reasons, and with just the right amount of fear mixed with certainty. I'm open to my purpose evolving over the years. I'm embracing new opportunities. I'm also open to closing doors in order to have the freedom to open new ones. And I've been so blessed so far. A children's book, an adult book, speaking to Web audiences and radio audiences and television audiences, writing for some incredible websites like Scary Mommy and Babble and My Brown Baby and adoption.net. Mothering three incredible children. Being Superman's wife. Living in this messy, complex world as a daughter of the Creator and Savior. I'm proud to share Dr. King's birthday. Each January, we watch his "I Have a Dream Speech," and I always feel a strange sense of kinship and pride. I'm very thankful my son arrived on January 15. He wasn't late or early. He was just on time. He was born on a blessed day. For my children, I pray that they are able to patiently wait for their day. Their purpose. Their sweet spot. And I pray I can nurture them and encourage them and support them as they wait for their day...their January 15th.